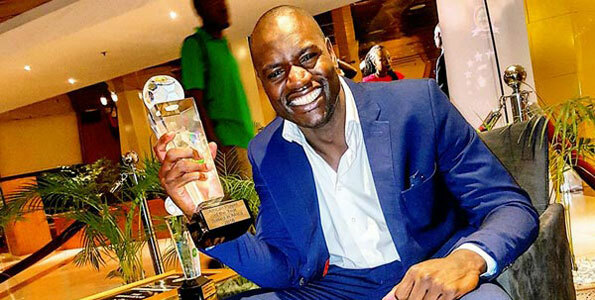 Goalkeeper Denis Onyango, voted the best African-based player of 2016, will spearhead Uganda’s assault on the African Nations Cup title following the announcement of their squad for the finals on Thursday. His performances saw Onyango crowned as the Confederation of African Football’s best player based in the continent on Thursday at an awards ceremony in Abuja. Onyango’s achievements had already seen him named Uganda’s Footballer of the Year and he is among 18 foreign-based players from an eclectic mix of countries in the 23-man squad, including Iceland, Lebanon, Finland, Vietnam and the US. Uganda last played at the Nations Cup in 1978 when they finished runners-up. They make their return in Group D and start in Port Gentil on January 17 against Ghana. Overall, Riyad Mahrez, a Leicester forward, was crowned the Confederation of African Football’s player of the year. The 25-year-old Algerian, who helped Leicester win the English Premier League title, also won the Professional Footballers’ Association player of the year award and the BBC African footballer of the year. Borussia Dortmund’s Gabonese forward Pierre-Emerick Aubameyang was second and Senegal and Liverpool striker Sadio Mane came third. Arsenal and Nigeria forward Alex Iwobi, 20, won the young player award. Countryman and Manchester City striker Kelechi Iheanacho, 20, won the most promising talent award. South Africa’s Mamelodi Sundowns goalkeeper Denis Onyango, 31, was named African-based player of the year and Nigeria forward Asisat Oshoala, 22, was named female player of the year.